What colors does the 2019 Ford Fusion come in? 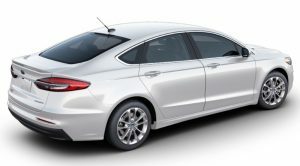 Giving you the perfect fusion of practicality and high-end driving, the 2019 Ford Fusion features a stylish exterior design, spacious interior, and affordable fuel economy. With such a versatile vehicle, Ford made sure to appeal to a wide range of drivers by creating a long list of exterior paint color options for the must-have sedan. Drivers that choose the new 2019 Ford Fusion will have a total of ten distinct and modern exterior color options to choose from, giving plenty of opportunities for drivers to get the exact look they want from their new vehicle. Like the looks of the 2019 Ford Fusion? Then you’ve come to the right place! Here at Crossroads Ford Lincoln, we have a selection of new Ford Fusion models available for customers to choose from, in a variety of different colors. Just take a moment to check out our online inventory to get an idea of what’s currently available on our lot. Once you’ve spotted the model that you want in a color that you like, simply give us a call or contact us online and we’ll be happy to set you up with an appointment for a test drive. 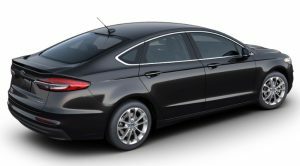 That way, you can experience the stylish design and smooth ride of the Fusion for yourself! We’re sure you won’t be disappointed. Which color do you think looks the best on the 2019 Ford Fusion? Let us know in the comments below!